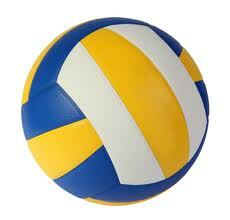 At the beginning of his invention, volleyball sport game is named Mintonette. Mintonette sport was first invented by a physical education instructor (Director of Education Phsycal) named William G. Morgan at the YMCA on February 9, 1895, in Holyoke, Massachusetts (United States). William G. Morgan was born in Lockport, New York in 1870, and died in 1942. YMCA (Young Men's Christian Association) is an organization dedicated to teaching the basic teachings of Christianity to the youth, as taught by Jesus. The organization was founded on June 6, 1884 in London, England by George William. After meeting with James Naismith (the creator of basketball was born on November 6, 1861, and died on 28 November 1939), Morgan created a new sport called Mintonette. Similarly, James Naismith, William G. Morgan also dedicates her life as a physical education instructor. William G. Morgan is also a graduate of Springfield College of the YMCA, created a game this Mintonette four years after the creation of sports games basketball by James Naismith. Mintonette sports game is actually a game that was created by combining several types of games. Rather, the game was created by adopting Mintonette four different characters into one game sports, namely basketball, baseball, tennis, and the last is handball (handball). At first, this game was created specifically for YMCA members who are not young anymore, so this game is made is not as active-basketball game. Mintonette name change to volleyball (volleyball) occurred in the year 1896, the demonstration of his first match at the International YMCA Training School. In early 1896, Dr. Luther Halsey Gulick (Director of the Professional Training School of Physical Education as well as the Executive Director of the Department of Physical Education of the International Committee of YMCA) called and asked Morgan to demonstrate a new game he had created in the new campus stadium. At a conference held at the YMCA college, Springfield was also attended by the entire physical education instructor. On the occasion, Morgan took two teams in each of the five-member team. On that occasion, Morgan also explained that the game is a game that can be played inside or outside the room with a very liberal. And according to the explanation at the time, this game can also be played by many players. There is no limit to the number of players in the game are standard. While the goal of the game is to keep the ball in order to keep moving higher over the net, from one area to another (the opponent).